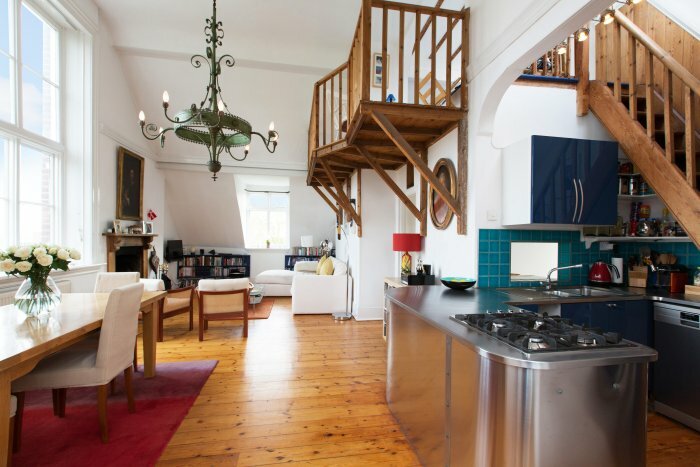 This month’s property from Benham & Reeves is an unusual two-bedroom apartment in South Hampstead. 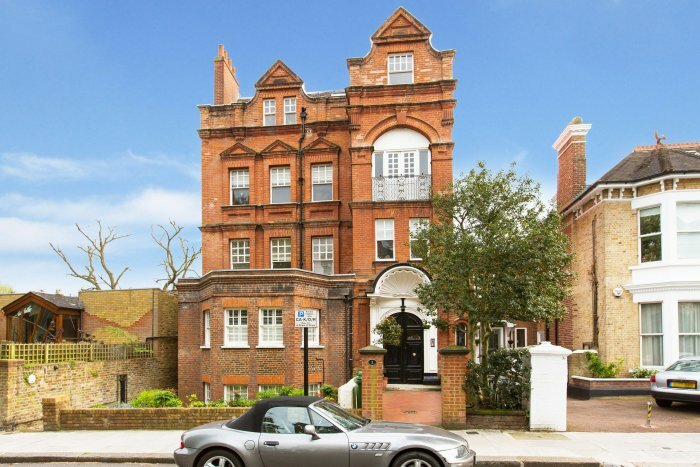 Forming the upper parts of a handsome red brick Villa originally commissioned and built for the renowned Victorian artist John Seymour Lucas and designed by Sydney Williams Lee, a fabulous and unusual 2 bedroom apartment. This part of the house was specifically designed as the artist’s studio and is where John Seymour Lucas would have painted many of his seminal works. The studio is now a spacious open plan reception/dining room/kitchen with the double height vaulted ceiling and large window making this room a wonderfully bright and tranquil space with far reaching views over London’s skyline. 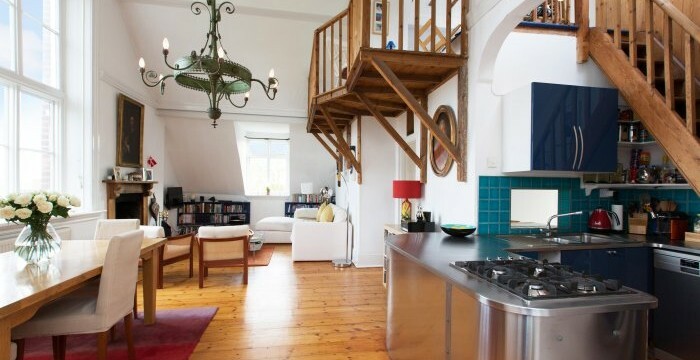 A delightful mezzanine area could be used as either an extra sleeping area for guests or as a study and there is fantastic storage space in the attic. If you have a good head for heights there is access to an unofficial roof terrace for even better views on a clear day. 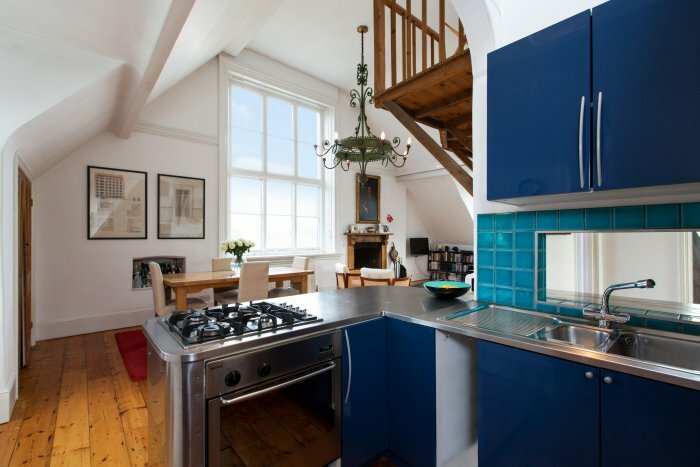 Woodchurch Road is located in the popular and leafy South Hampstead Conservation Area and provides easy access to the transport links at both West Hampstead and the Finchley Road. 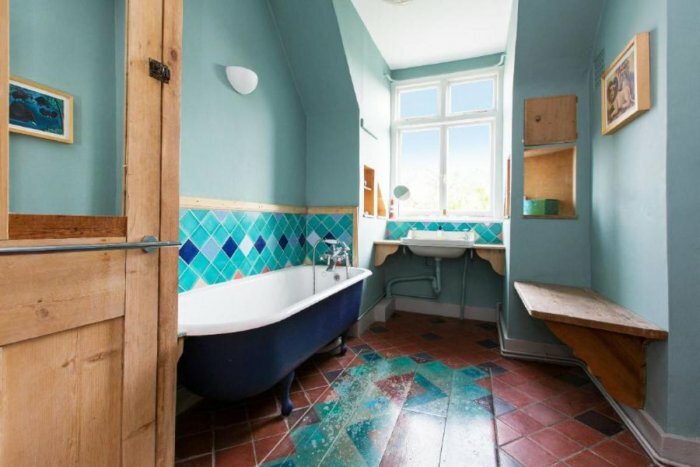 Properties of these proportions and light are rarely available to the open market and early viewing is advised to avoid disappointment.